Jagadeva, also known as Jagaddeva or Jagdev Parmar, was an 11th-12th century prince from the Paramara dynasty of central India. He is known from an inscription discovered at Jainad and some folk legends. His political status is uncertain, although according to one theory, he may have been a vassal of the Western Chalukyas. The coins and inscriptions from Jagadeva's period have been found in the northern parts Berar and Deccan regions, not the traditional Paramara territory of Malwa. These regions were dominated by the Chalukyas of Kalyani. An inscription discovered at Jainad names Jagaddeva as the son of the Paramara king Udayaditya (reigned c. 1060–1086). Four gold coins bearing the name "Shri-Jagadeva" have also been discovered. Several scholars, including P. C. Roy, identify the issuer of these coins as the Paramara prince. M. H. Krishna surmised that the Chalukya king Someshvara was known by the title "Jagaddeva" ("Lord of the world") in the northern part of his kingdom, and it was he who issued these coins. However, all the known Chalukya coins feature Kannada script, while coins of Jagaddeva feature the Nagari script used by the Paramaras. Therefore, Krishna's theory is purely conjectural. V. P. Rode theorizes that Jagadeva accepted the suzerainty of Vikramaditya VI of Kalyani. Vikramaditya made him governor of Berar and a part of Deccan. P. C. Roy disagrees with this theory, arguing that a vassal could not have issued gold coins in his own name, and the coins do not mention the Chalukyas. A legendary account in the Ras-Mala states that Jagadeva succeeded Udayaditya as the king. Therefore, D. C. Ganguly suggested that Jagadeva was another name for Lakshmadeva (r. c. 1086-1094 CE). According to Ganguly's theory, he abdicated the throne in favour of his brother Naravarman (r. c. 1094-1133 CE). He then governed the southern part of the Paramara kingdom (northern parts of Berar and Deccan) until at least 1112 CE. Later, he lived at the Chalukya court at Vikramaditya's invitation. K. C. Jain disagrees with this theory, arguing that Jagaddeva and Lakshmadeva were two distinct princes. The undated Jainad inscription was found on the floor of a temple mandapa. It was composed by the poet Ashvatthama in Sanskrit language, and has been dated to the 11th century on a palaeographical basis. It records the construction of a temple dedicated to Surya (the sun deity) by one Padmavati. The inscription states that it was issued during Jagaddeva's rule. The inscription begins with verses praising Surya and Shiva. It then mentions the Agnivansha myth, which states that the founder of the Paramara dynasty was created by Vashistha from a sacrificial fire pit. Jagaddeva was born in this dynasty: his father and paternal uncle are named as Udayaditya and Bhoja respectively. He defeated the king of Andhra. Historian H. V. Trivedi believes that this refers to the Chola king Rajaraja II, and Jagaddeva may have led a Chalukya invasion against the Chola occupation of Andhra territory. He "uprooted in sport" the king of Chakradurga. Chakradurga can be identified with the present-day Bastar district; its ruler at that time was Someshvara of an obscure dynasty named Naga. He successfully invaded Dorasamudra, causing "acute pain in the heart of the chief of Malahara". Trivedi theorizes that this refers to the Chalukya invasion of the Hoysala kingdom, which was ruled by Ballala. According to him, "Malahara" is a variation of "Malaha" or "Malapa" (hill chiefs), and referred to a hill tribe to which the Hoysalas belonged. He fought against the Gurjaras, causing a flood of tears among the wives of the Gurjara warriors. The inscription mentions the word "Jayasimha" in this sentence. D. C. Ganguly interpreted the sentence to mean that Jagaddeva's bravery was an "announcement of the valour of Jayasimha". He concluded that Jagaddeva may have fought against the Chaulukya (Solanki) king of Gujarat, as part of the Paramara army under Jayasimha I. However, a later translation appearing in Epigraphia Indica interprets the verse to mean that Jayasimha was an enemy of Jagaddeva. On basis of this, Trivedi identifies Jayasimha as the Chaulukya king Jayasimha Siddharaja. He subdued the king Karna. Ganguly identified Karna as the Chaulukya king Karna, but V. V. Mirashi disagreed with this theory, pointing out that Jagadeva's father Udayaditya is said to have destroyed the king of Dahala. The Dahala region was ruled by the Kalachuris, so Mirashi identifies Karna as the Kalachuri king Karna. According to H. V. Trivedi, the Kalachuri king may be identified as either Karna or his son Yashah-Karna. Jaggadeva's brother Lakshmadeva is known to have invaded the Kalachuri capitalTripuri during Yashah-Karna's reign, and might have been aided by Jagaddeva in this campaign. The rest of the inscription describes Padmavati, who resembled Lakshmi and constructed the "Nimbaditya" temple "in this city". The inscription does not name the city, but it is possible that it refers to Jainad, where the inscription was found in a temple. Padmavati is described as the queen of Arjuna, who was a member of the Dahima family. Arjuna is described as a subordinate and a favourite of the king Udayaditya. The inscription also mentions Udayaditya's minister Lolarka as another member of the Dahima family. He is described a Shaivite who was loyal to Jagaddeva. Lolarka's father Gunaraja was also a favourite of Udayaditya. One legend about Jagadeva is mentioned in the Ras-Mala, a collection of Gujarati legends. It names Jagdev Parmar (Jagadeva) as the son of king Udayadit of Dhar (Udayaditya) and his Solanki (Chaulukya) wife. The king's favourite son and the heir apparent was Rindhaval, his son by another wife from Vagheli family. The Chavda ruler of Tuktoda was impressed with Jagdev's merits, and married his daughter Virmati to the Paramara prince. Jagdev left his father's kingdom because of harassment from the Vagheli queen and reached Tuktoda. From there, he and Virmati marched to Anhilvara (Patan), the capital of the Solanki king Sidh Raj Jesangh (Jayasimha Siddharaja). Virmati's mother was the sister of the Solanki king, and Jagdev hoped to find employment with him. Virmati went to the royal palace to seek the king's help, but she was trapped in a room by a woman named Jamoti, who had been paid by the governor's son Dungarsi to find a paramour for him. When Dungarsi came to the room, Virmati got him drunk and killed him. When the king learned about this incident, he praised Virmati as an honourable woman and enlisted Jagdev in his service. One day, the Solanki king asked Jagdev to investigate some strange sounds he had been hearing. Jagdev found four wailing women, who introduced themselves as the Fates of Patan. They told him that the Solanki king was about to die. Near them were four other women, who were laughing. They introduced themselves as the Fates of Delhi. Jagdev asked them if there was any way to save the king's life. They told him that if a highly ranked man offered his life instead, the king would survive. Jagdev then decided to offer his life, but his wife insisted that their entire family offer their lives. First, they offered their first-born son to the Fates. The Fates beheaded the boy, but impressed with the family's loyalty to the king, they let the rest of the family go. The Solanki king had secretly seen the entire episode. He was pleased with Jagdev's loyalty, and married one of his daughters to Jagdev. Virmati was satisfied with this arrangement, because multiple wives indicated the high status of a Rajput lord. According to this legend, Jagdev went back to Dhar after Udayadit's and became the new Paramara king. Navalram's play Veermati (1869) is based on this legend. 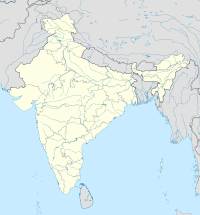 According to another bardic tradition, some tribes in the northern part of the Indian subcontinent are descended from "Jagdev Parmar", that is, Jagadeva. During the reign of Jagadeva's nephew Yashovarman (r. c. 1133-1142 CE), the Delhi Sultanate invaded Malwa. The bardic works state that Jagadeva's descendant Rai Shankar and some other Paramaras migrated to Punjab via Rajputana as a result of this invasion. Rai Shankar had three sons: Gheo (the ancestor of Ghebas), Teo or Tenu (the ancestor of Tiwanas) and Seo (the ancestor of Sials). Teo's descendants established the Mataur village in present-day Haryana, from where the Tiwanas migrated to other places. Some of them converted from Hinduism to Sikhism and Islam in the later centuries. The rulers of the Muli princely state in present-day Gujarat also claimed descent from Jagdev Parmar. The Ambaraian rulers of the Akhnoor principality in present-day Jammu and Kashmir traced their ancestry to "Jagdev Singh" (Jagadeva), who had migrated from Dhar. ^ Gulab Chandra Choudhary (1964). Political History of Northern India, from Jain Sources: (c. 650 A. D. to 1300 A. D.). Sohanlal Jaindharma Pracharak Samiti. p. 108. ^ a b c P. C. Roy (1980). The Coinage of Northern India. Abhinav Publications. pp. 66–68. ISBN 978-81-7017-122-5. ^ A. V. Narasimha Murthy (1975). The Coins of Karnataka. Geetha Book House. p. 86. ^ a b c d A. Rogers (1893). "The Rajput Legend of Jagdev Parmar". The Imperial and Asiatic Quarterly Review and Oriental and Colonial Record. Oriental University Institute. pp. 400–409. ^ Kailash Chand Jain (1972). Malwa Through the Ages, from the Earliest Times to 1305 A.D. Motilal Banarsidass. p. 358. ISBN 978-81-208-0824-9. ^ a b c d e H. V. Trivedi (1990). Inscriptions of the Paramāras, Chandēllas, Kachchapaghātas, and two minor dynasties. Archaeological Survey of India. pp. 93–97. ^ V. V. Mirashi (1957). "The Kalacuris". In R. S. Sharma (ed.). A Comprehensive history of India: A.D. 985-1206. 4 (Part 1). Indian History Congress / People's Publishing House. p. 493. ISBN 978-81-7007-121-1. ^ Rameśa Ma Śukla (1988). Navalram. Sahitya Akademi. p. 18. ^ Ian Talbot (2013). Khizr Tiwana, the Punjab Unionist Party and the Partition of India. Taylor & Francis. pp. 13–14. ISBN 978-1-136-79036-2. ^ Gujarat (India) (1977). Gujarat State Gazetteers: Surendranagar. Directorate of Government Print., Stationery and Publications, Gujarat State. p. 110. ^ P. K. Kaul (1993). Himalayan principalities in Jammu, Kangra, and Bhadarwah. Jay Kay. p. 22. This page was last edited on 23 February 2019, at 19:19 (UTC).